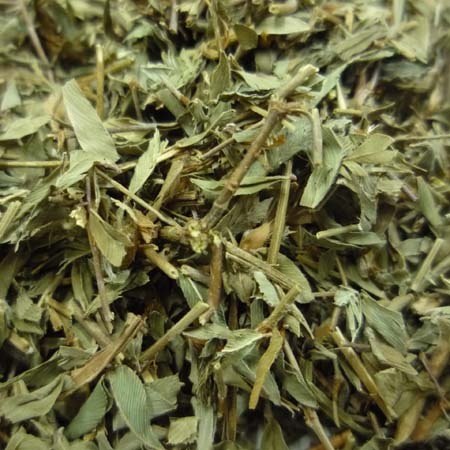 The drug is the dried or fresh whole herb of Kummerowia stipulacea (Maxim.) Makino (Family Leguminosae), growing on mountain slopes, on hillsides, along roadsides, in fields, near forests, or on grass lands along rivers, and distributed in Northeast China, North China, East China, Hunan and Hubei. Slightly bitter, cool; liver, spleen, lung and kidney meridians entered. Clear heat and remove toxicity, strengthen the spleen and promote diuresis. Malaria, dysentery, heat stranguria, vomiting and diarrhea due to summer-heat and dampness, fever, infective hepatitis, gonorrhea.